Today: A whipped cream with staying power, just in time for apple pie season. Now is the time to talk of whipped cream -- before the last stone fruits of summer disappear, and we can still have a hurrah or two with plum cake and nectarine slump. But it's also high time we armed ourselves for the next few months of apple and pear pies and crisps. We're going to need a lot of whipped cream. Of course homemade is always better than anything squirted out of a can -- and almost as effortless -- but we still tend to worry over it. 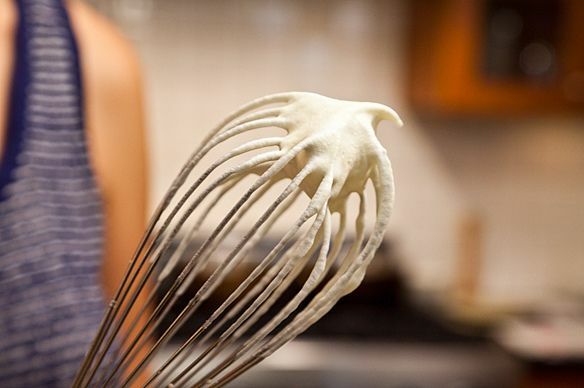 Because overwhipping the last pint of cream in the house, or seeing perfect tufts collapse into puddles, can feel as if they might lead to our undoing. 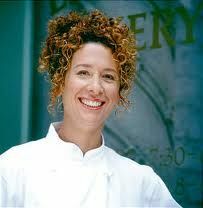 It's a good thing Nancy Silverton, L.A.'s most beloved pastry chef, has our back. 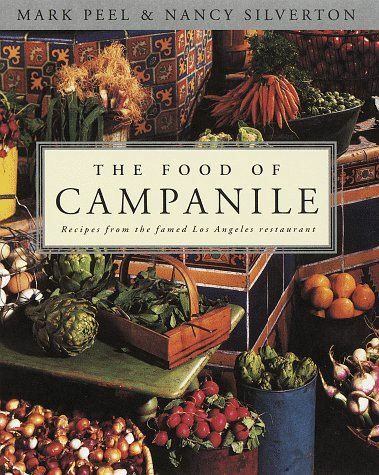 In her 1997 cookbook The Food of Campanile, Silverton walks us through her foolproof methods, both by hand and in an electric mixer, and tells us how to salvage the overwhipped stuff -- but the biggest coup is in the simple way she resolves that pesky deflating issue, freeing us to whip cream hours before dessert without worry. Others have tried all kinds of ways to shore up whipped cream. Gelatin is common, but tricky. Rose Levy Beranbaum likes cornstarch. There's a "Never-Weep" recipe bobbing around the internet that swears by instant vanilla pudding. Shirley Corriher has even been known to whip a melted marshmallow (a ready source of gelatin) into hers. But Silverton's technique wins big points for taste -- in fact, you might already be doing it, just because it tastes good. 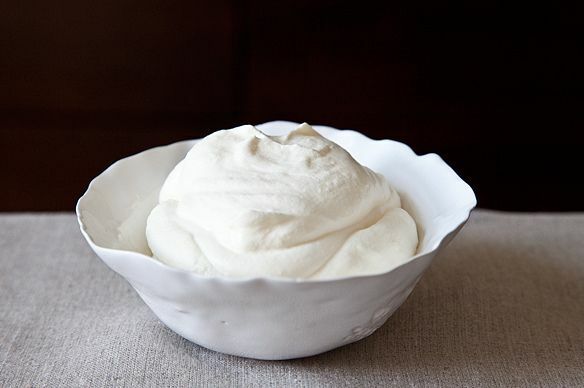 She mixes in a modest scoop of crème fraîche, which not only breathes tang and depth into plain whipped cream, but makes it more resilient too. How? A few factors may be at work in cultured cream's clumpier protein bundles and natural emulsifiers, but the true hero is clear to me (and Harold McGee): straight-up butterfat. You see, the only real difference between heavy cream (which, at 30% butterfat and higher, will whip admirably) and milk (which won't) -- is the fat. Fat globules are sticky and sturdy, capturing and cloaking the air bubbles that are whipped into them. 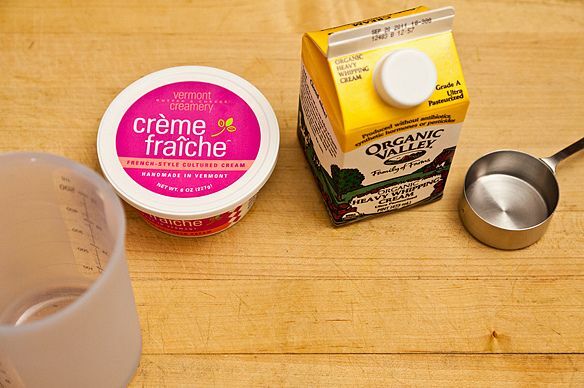 And crème fraîche tends to have even more fat globules than heavy cream. Though McGee cautions that liquid with 30% butterfat is ideal for whipping -- too much fat will eventually weigh down and collapse the fragile house of bubbles -- here, we get a pass. It turns out that swirling in just a bit of smooth, glossy 42% butterfat crème fraîche after the cream reaches soft peaks is just right for adding one last protective layer to the architecture of a pudgy pile of whipped cream. 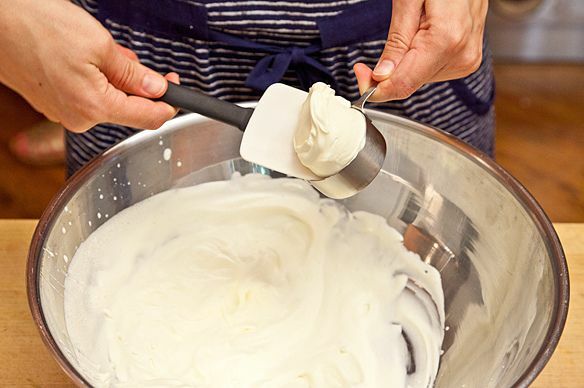 So now the only question is -- why wouldn't you just lace every batch of whipped cream with crème fraîche? Don't forget: the countdown to pumpkin pie is on. 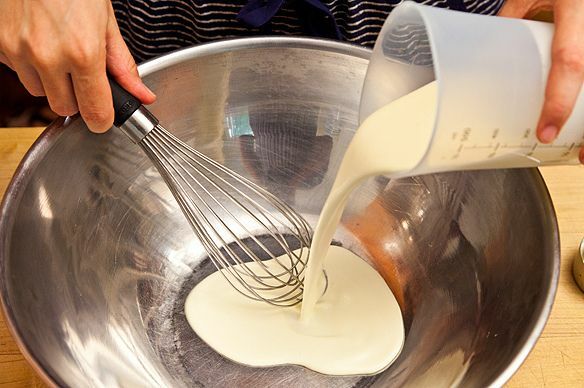 The addition of a little sour cream or crème fraîche to every cup of whipping cream will ensure that beautiful sheen, extra smoothness, and fuller flavor. Want more genius recipes? Try Jean Anderson's Sweet Red Pepper Paste (Massa de Pimentao) or Patricia Wells' Zucchini Carpaccio with Avocados & Pistachios. Cream cheese is another good choice. 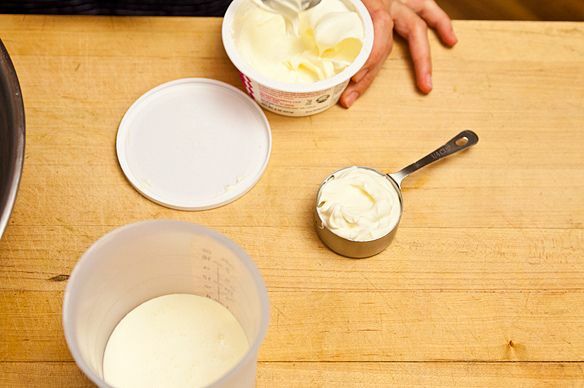 The gums used to make cream cheese will go a long way towards stabilizing the cream. Adds a nice flavor, too. I made some a few days ago with a couple tablespoons of coconut cream - made great whipped cream and held up beautifully. This also works with a spoonfull of full fat greek yogurt, or cream cheese. I suppose you could also use clotted cream if you have it on hand... I think it's 55% butterfat. Keeps longer than creme fraichefraiche. Ahhh, sheer perfection! I love whipped cream but I know I will adore this version because of that tiny bit of tang the creme fraiche will add. (And then the added benefit that the whipped cream stays lofty, merveilleux! I've done this with mascarpone too. 42% butterfat crème fraîche. Oh my and oh yes! 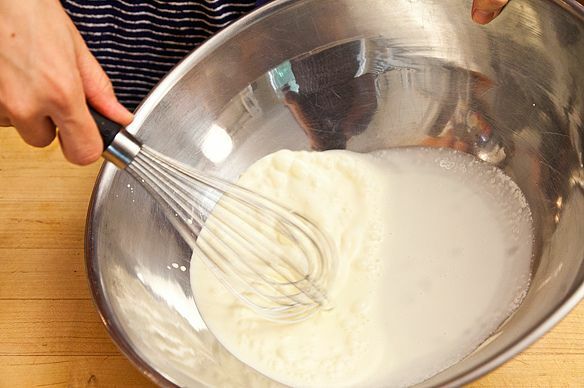 I have often mixed Mascarpone with heavy cream when whipping it & it works like a dream to let the whipped cream keep. Also if one uses pasteurized & not ultra pasteurized whipped cream it whips up much more quickly & seems to hold longer. This creme fraiche idea sounds great as well! I've addad a heaping spoonful of mascarpone cheese to heavy cream before whipping it and it holds up for days! But I don't always have mascarpone, so I'm happy to see that this works, too. 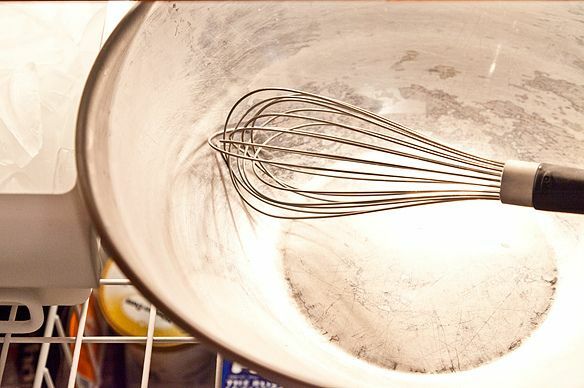 I've often wondered if whipping sour cream would work but never tried it. Thanks for featuring this. Love it! Thanks for this! Best addition to whipped cream since vanilla extract. I think of cream whipped with sour cream as "Swedish Cream" -- after learning to make it this way while living in Finland many years ago. I often add a pinch of cardamom or another spice too. I like this. I was wondering about the expensive ingredient as well. I really have no use (I know there are about a million) in my world for the creme fraiche. Tried it once and wasn't impressed enough to pay for it. I use CI's method as well and there is nice whipped cram for pumpkin pie for breakfast then next morning--oh don't you make enough pumpkin pie for breakfast the day after Thanksgiving?! A must in my household! I've been doing this for years, didn't know it was Ms. Silverton's trick. I also use brown sugar and a shot of scotch to make this butterscotch flavored. Really outstanding with sweet potato or pumpkin pie. Been doing it this way since reading about it in Mr. Latte, and agree with Amanda's original assessment: "Two cups of bliss." Tangy Whipped Cream made with creme fraiche (I go half and half) is one of two "master recipes" at the start of Farmers' Market Desserts. Much more character than plain whipped cream. 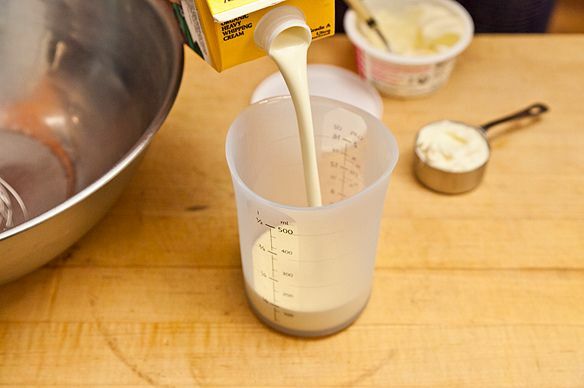 It's easy to make your own creme fraiche and much less expensive than buying it -- just add 2 T creme fraiche, cultured buttermilk, or plain yogurt (with active cultures) to 1 cup of heavy cream in a clean glass jar, shake, and leave at room temp for 24-36 hrs, checking every 8 hrs or so. You'll see and taste when it's thick and tangy, and it thickens further in the fridge, where it can last up to 2 weeks. Perfect for apple pie season! Oh or those beautiful baked apples! Do you think full-fat Greek yogurt would stand in well for the creme fraiche?